used to decrease the volume of wastes in the ponds. 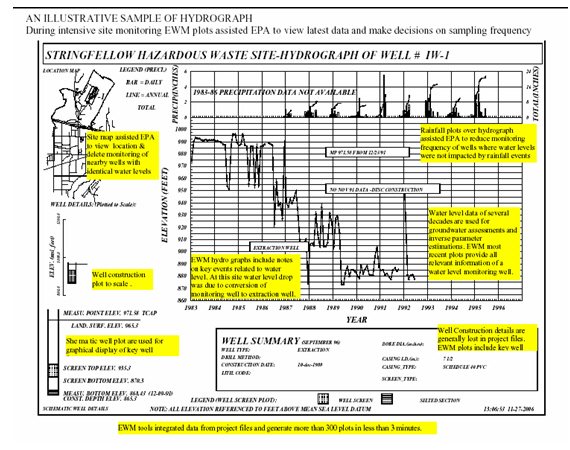 EWM technologies processed chemical, hydrologic, and geologic information that was collected at a cost of 30 million dollars during intensive site characterization. EWM generated plots and reports assisted EPA managers to make informed decisions. EWM principals develop innovative templates for a given project need. 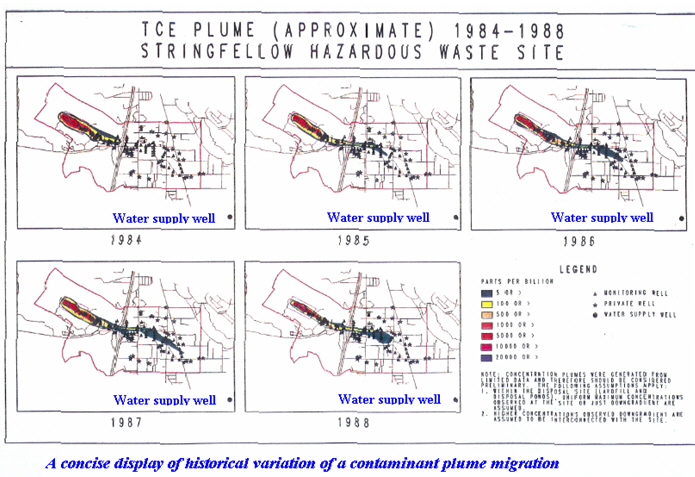 During 1989, EPA needed evaluations of risk to a down gradient water supply well. EWM principals utilized 10 key chemical data of this site and displayed status of each contaminant advancements. Based on above type of informative displays, EPA regulators concluded no immediate likely impact on the well water quality.